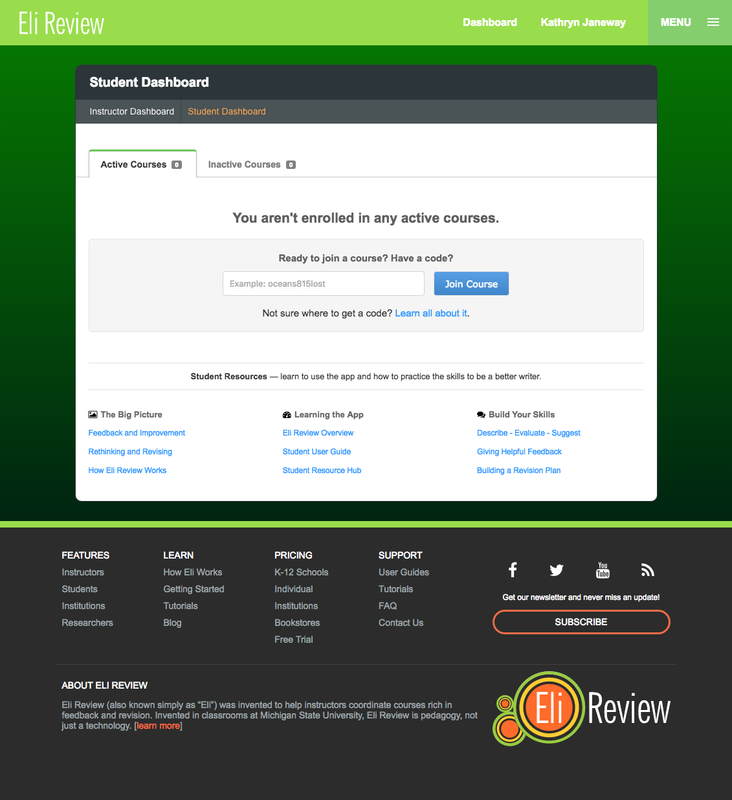 Eli Review is a peer learning app that makes it quick and easy for instructors to create feedback and revision cycles. Better feedback and better revisions lead to better learning. 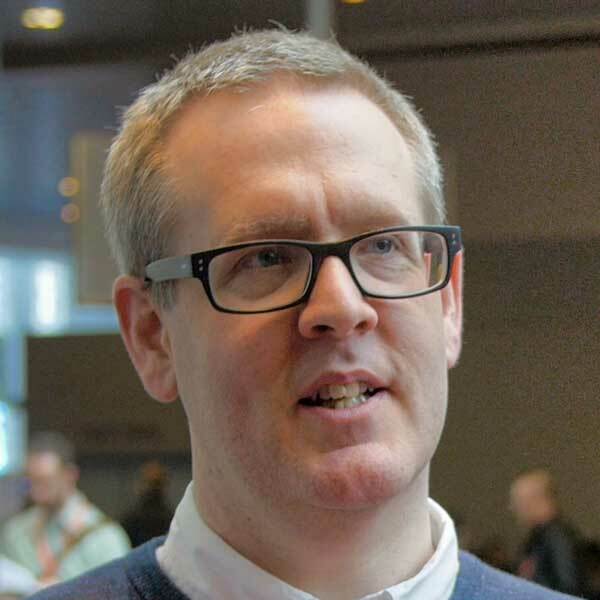 This overview covers the basics for using Eli as an instructor. You can also check out the student introduction to learn about their experience. The first step is signing up for Eli Review. 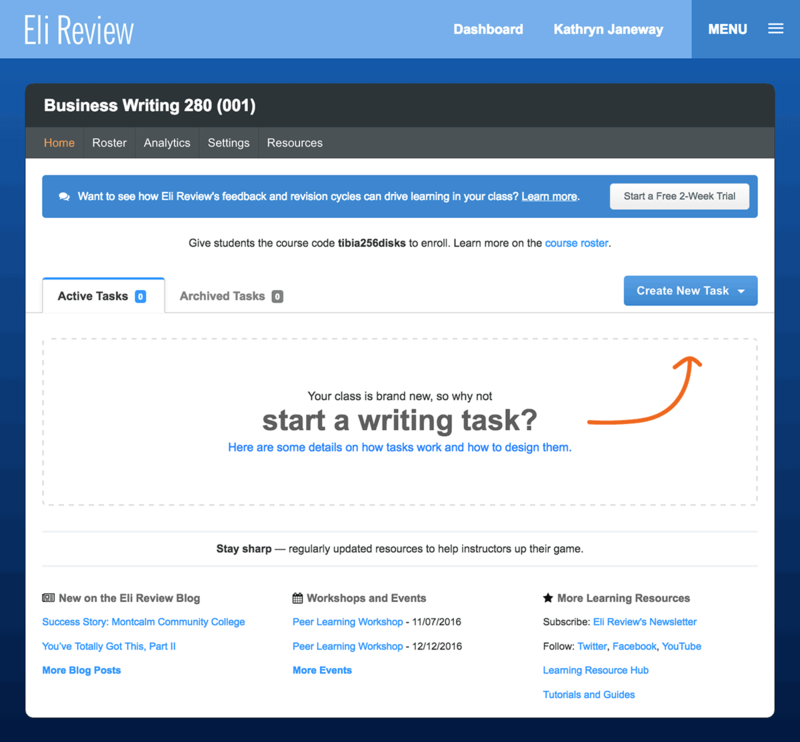 You can do that by clicking “Sign Up” anywhere on the elireview.com or by going directly to app.elireview.com. You’ll be asked to answer a few basic questions (name, email, password, etc). You’ll also be asked to agree to Eli Review’s terms of service, which lays out rules for usage, copyright ownership, and other typical provisions. Once you’ve created your account, you’ll arrive at the Instructor Dashboard, which allows you to start new courses or access any of your previous ones. Once you’re in the app and familiar with the layout, you’re ready to create your first course. Almost all Eli activity takes place in a course. 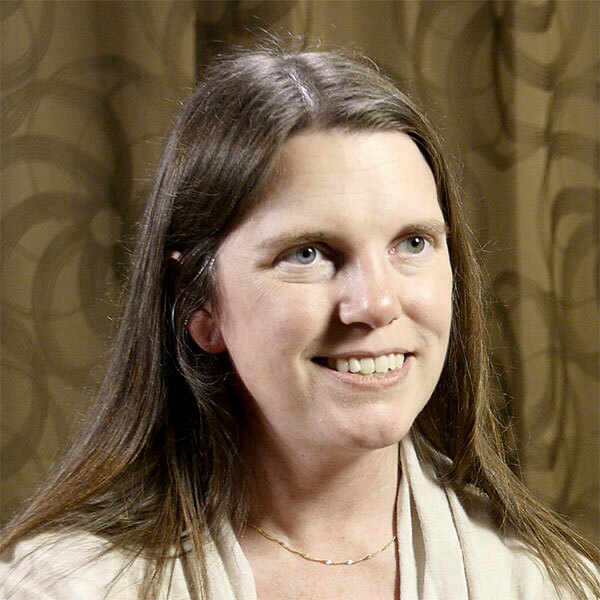 Courses in Eli mimic courses in real life: students enroll in the course, you design tasks for them, and they submit their responses. 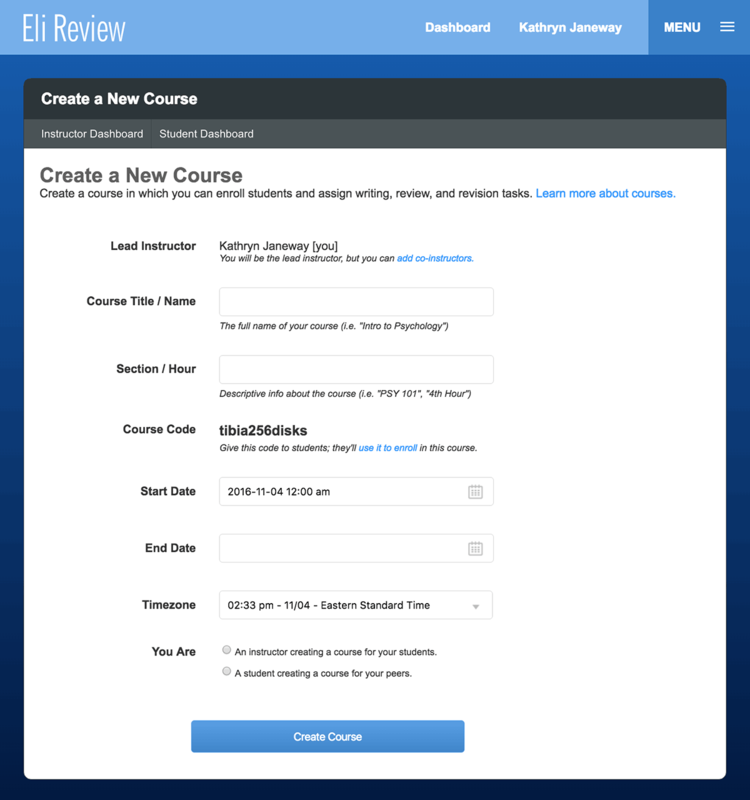 Creating a course is easy: from your Instructor Dashboard, click the “Create a Course” button. You’ll be asked to provide some basic details about the course, including your institution. Once you’ve created your course, you’ll see your course homepage. 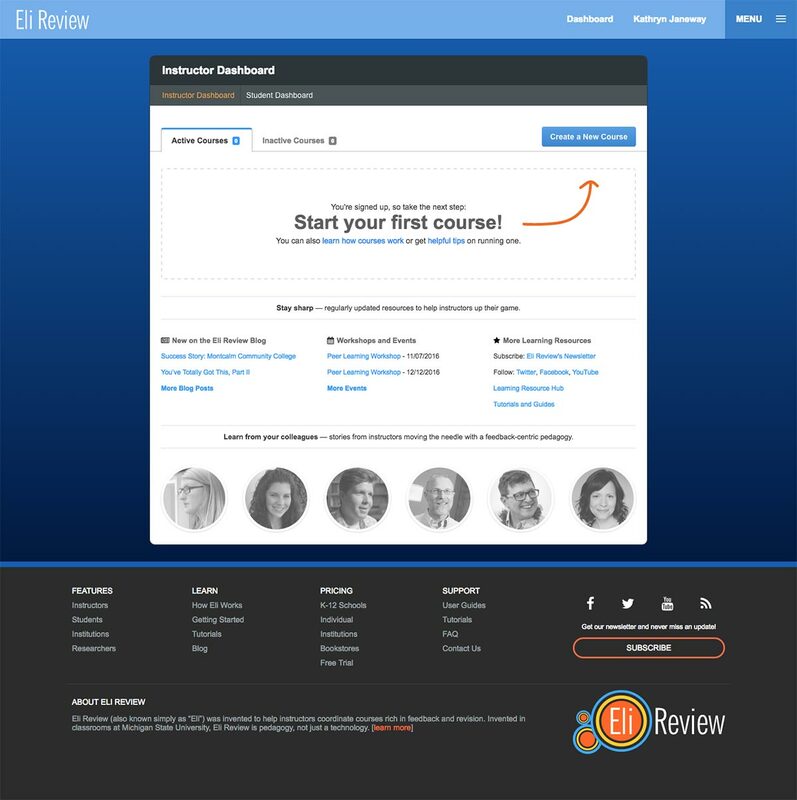 If you’re a new Eli Review instructor at an institution that has not purchased access for students, you’ll have the opportunity to use Eli for free for two weeks. To start your free use period, just click the “Schedule Your Free Two Weeks” button and choose the start date (get the full details on how free access works). With your course created, you’re ready to bring your students on board. Each course has a unique access code: just share this code with students (on a syllabus, via email, on a whiteboard, in an LMS, etc) and they can use it to join your course. You can also customize our handout with step-by-step instructions. Students can purchase a subscription either online using PayPal or you can request your bookstore to purchase subscription cards, which students can buy using financial aid or scholarship funds. With your course created and your students enrolled, you’re ready to start the improvement cycle! 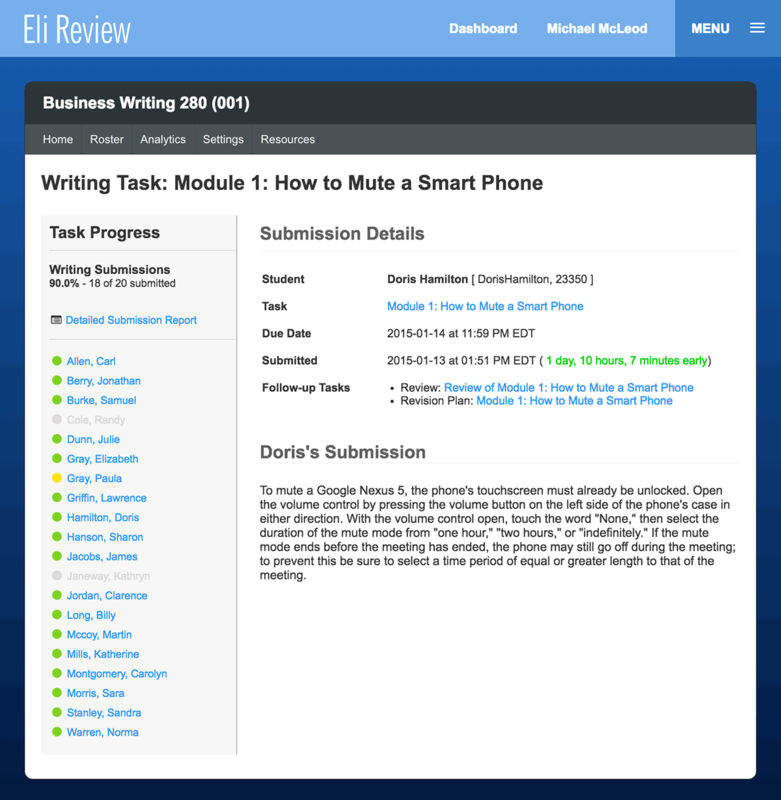 Everything builds from assigned writing tasks in Eli. Students submit writing first, then they can give and get feedback. After composing the title of the writing task, choose a due date and time. We recommend that writing tasks be due at least 12 hours before a review task begins to minimize the number of late writers who are unprepared to participate in peer learning. Instructors to download all uploaded files for a class. In the composing space, type, paste, or link out to the instructions for writers. 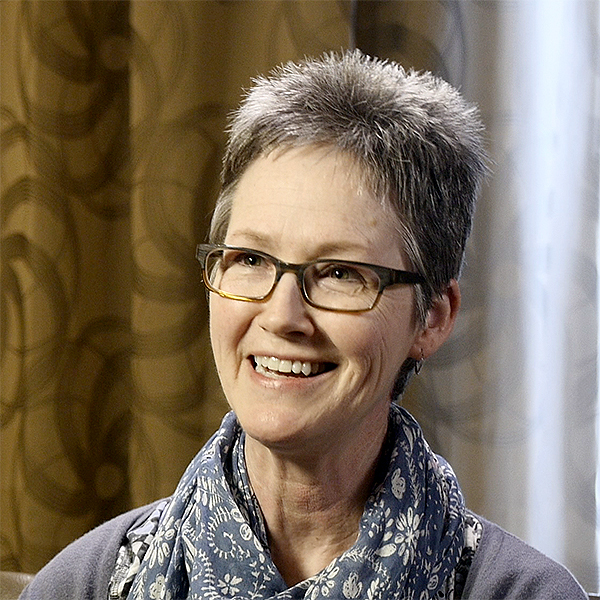 We recommend assigning students to write a “small bit” to keep writers focused on specific goals and to help reviewers manage the cognitive load of giving feedback. Learn more about designing rapid feedback cycles using small bit writing tasks and targeted reviews from our blog. Feedback is the engine of writing improvement and writing instructors are the facilitators of that feedback. 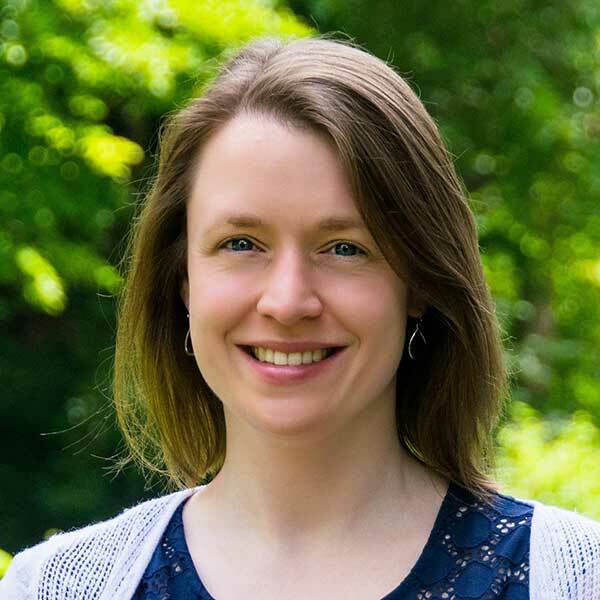 Eli makes it easier for instructors to design and coordinate feedback activities that will improve student metadiscourse about writing and yield far more effective revisions. As you form groups, be aware that only prepared writers are ready to give and receive feedback. 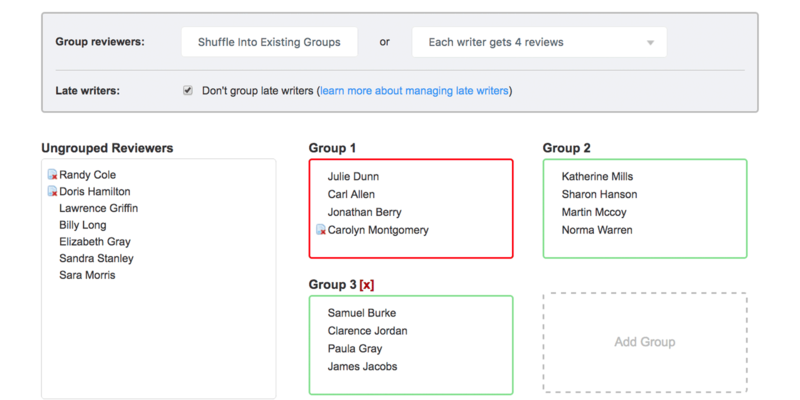 Eli makes it easy to exclude unprepared or late writers from groups (denoted by a sheet a paper with red x at the bottom). When these writers get back on-pace, you can drag-and-drop them into a group. 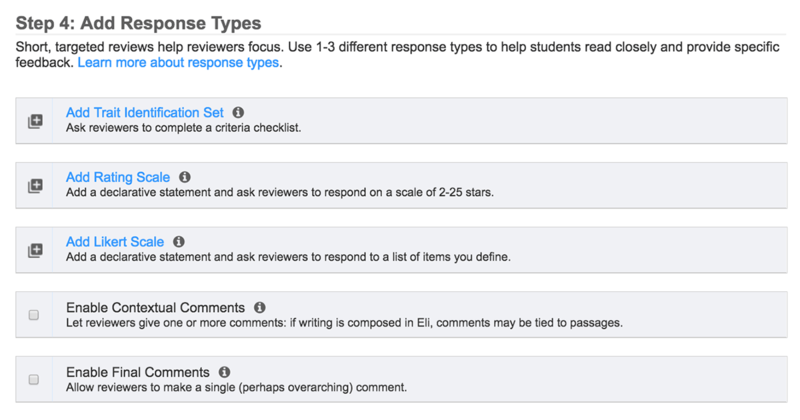 Eli’s response types allow you to design a feedback activity that can give you insight into student learning. Quantitative response types (trait identification checklists, ratings) show trends. Qualitative response types (contextual comments or final comments) reveal what students are saying to each other. 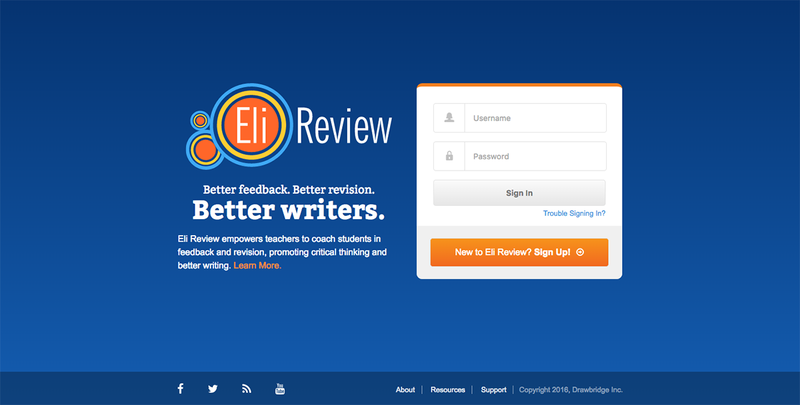 Eli lets you create reviews with as few or as many response types as your learning activity requires. 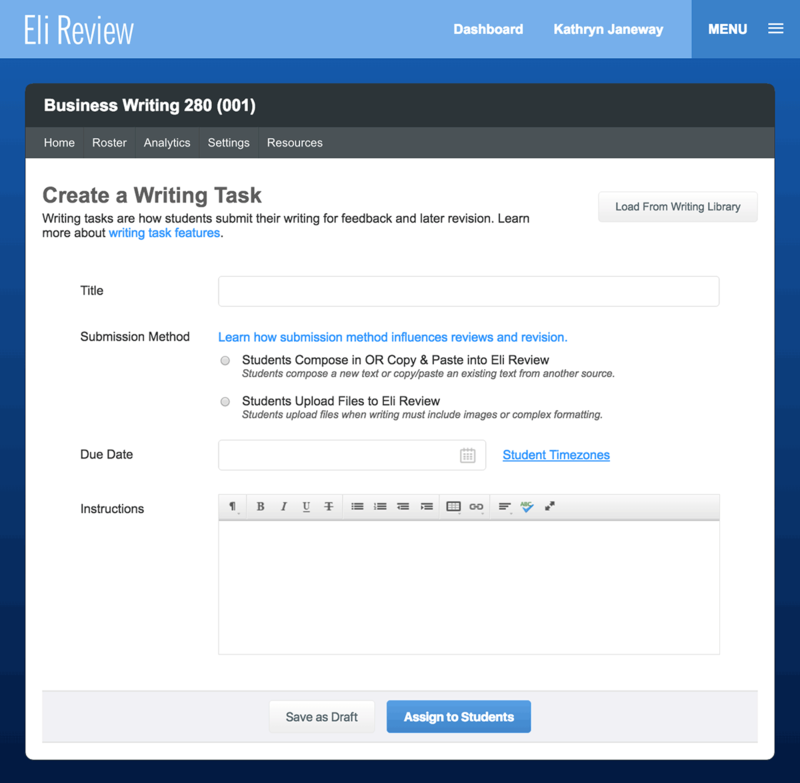 Once you’re designed and assigned a review, and students start responding, Eli provides real-time results of their feedback. With quantitative response types, you can see trends across an entire course but also how individual students compare against class trends. Class Level comment displays let you gauge the conversation and identify models. 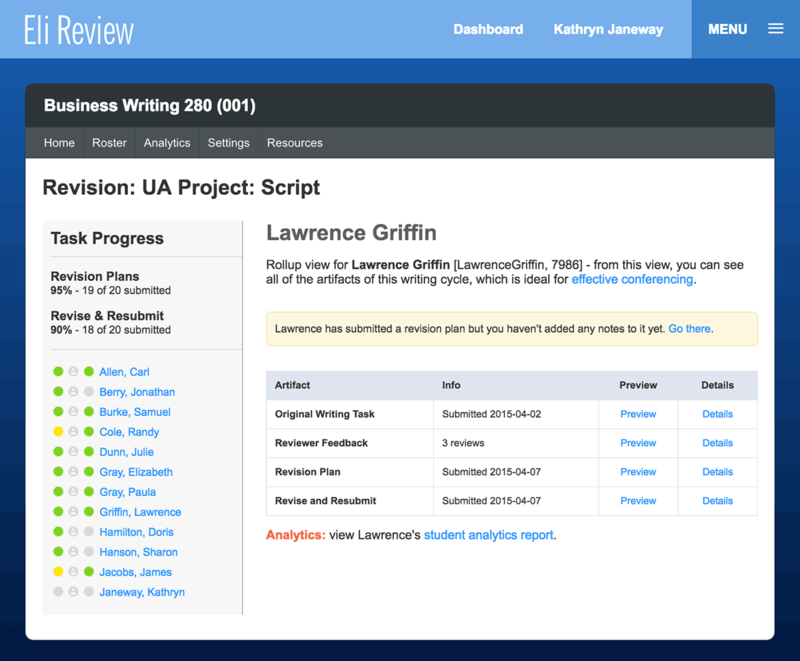 Student Level comment displays let you check whether a student got and gave helpful feedback. Students’ Feedback Given report is an authentic learning record showing what they can see and talk about in others’ work. It’s easy to tell what students know and can do from their comments. Learn more about teaching from comments. 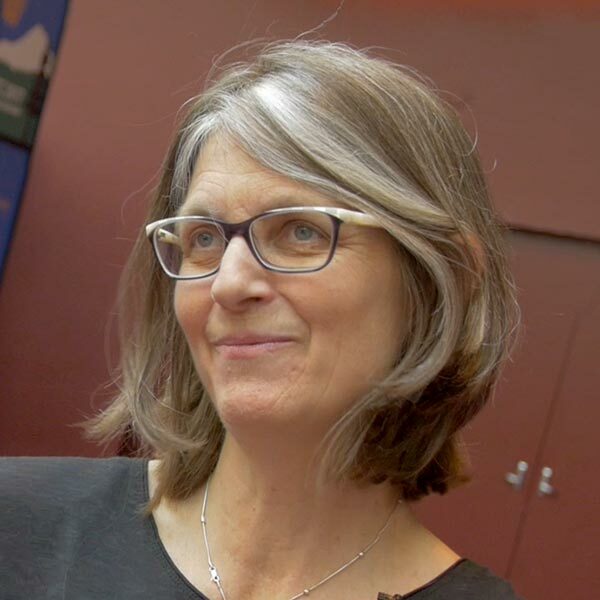 Review reports also provide instructors with rich data about student performance. 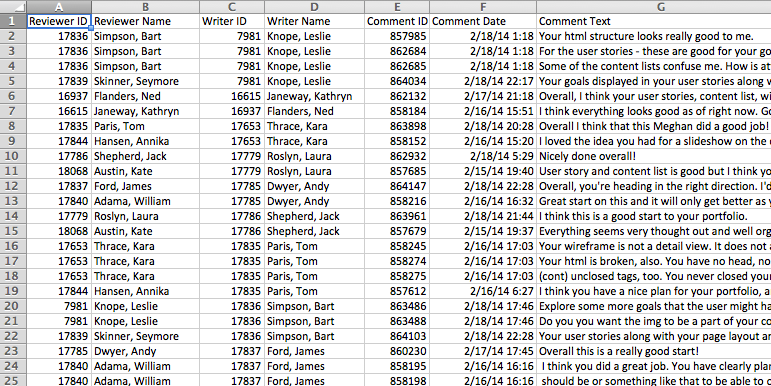 Student engagement data lets you see who’s putting effort into their reviews and who needs to step up. Data downloads in Eli Review also make it incredibly easy to get the raw data about both qualitative and quantitative responses that you can use to do research into your own teaching. Once students have received feedback, they can begin using that feedback to plan for their revisions. Revision plans are crucial in the learning process because they make student thinking visible and give you a way to see if they’ve processed the feedback they received and have a clear sense of how to move forward. Revision plans in Eli prompt students to not only add comments but to annotate and prioritize them. Eli creates a “rollup view” of a student’s work so that you can see all of the artifacts of a student’s process (writing task, feedback given, feedback received, revision plan) in one place and get a quick picture of that student’s process. You can also give feedback on that revision plan to help students if they need additional work on a plan before they proceed. Once revision plans have been submitted and you’ve had a chance to give feedback, you can create revise and resubmit tasks, where students can take action on their revision plans and submit a new version of their previous writing. This overview is just an introduction to Eli’s features and functions. 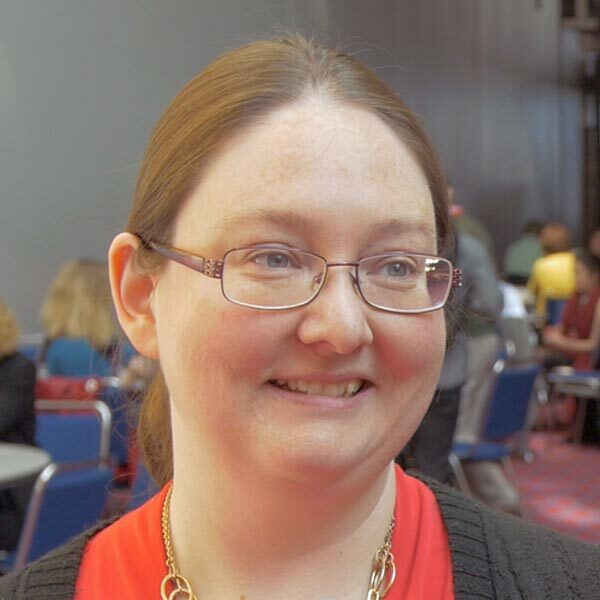 There are lots of high-level issues to think about, particularly how your feedback pedagogy maps to its features, as well as low-level issues about how the technology works. We’re here to help.